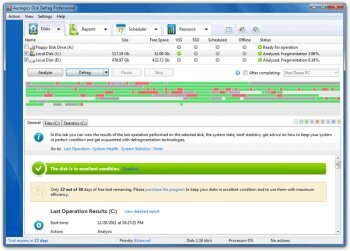 Continuing the success of Disk Defrag Free - one of the most popular defragmenters for Windows-based PCs, with over 10,000,000 fans worldwide, Auslogics Software has released a more powerful and feature-packed tool - Disk Defrag Pro. 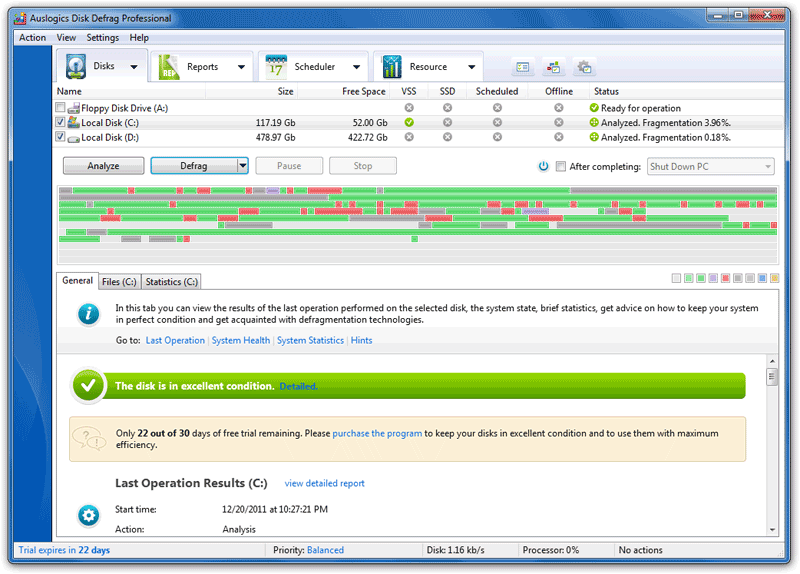 It is an essential PC optimization and maintenance utility, designed for maximizing hard drives' efficiency. The Pro version is now equipped with 4 different disk optimization algorithms for intelligent rearrangement of files on disks, and has an offline defragmentation engine for defragmenting locked system files (including MFT, Windows Registry, Paging and Hibernation files). This allows the program to significantly increase file access speed, meaning that just about anything you do on your PC will work faster. Used to be a great program. Latest version includes PUP's. No longer using this defrag.